iOS is undoubtedly one of the best mobile OS ever developed, but everything is not perfect! Sometimes iOS devices give some troubles. These issues can happen while upgrading to a new iOS or jailbreaking or any software system damage. But there are solutions to fix it. And the most useful one is to recover and restore to fix all these issues in one go! 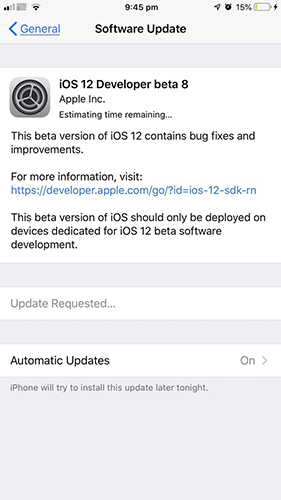 For the latest iOS 12 system, you can encounter some issues while using it, so the iOS 12/12.1 system recovery process has not changed, and it is still the same. For most iOS system issues, you just have to repair iOS system for iPhone/iPad/iPod to get rid of the issues. And in this article, we have for you the best tool that can get the job done effectively and quickly. iPhone System Recovery Software ReiBoot is an all-in-one iOS system recovery tool that you should definitely go for. It is the best iPhone system restore software that we highly recommend. 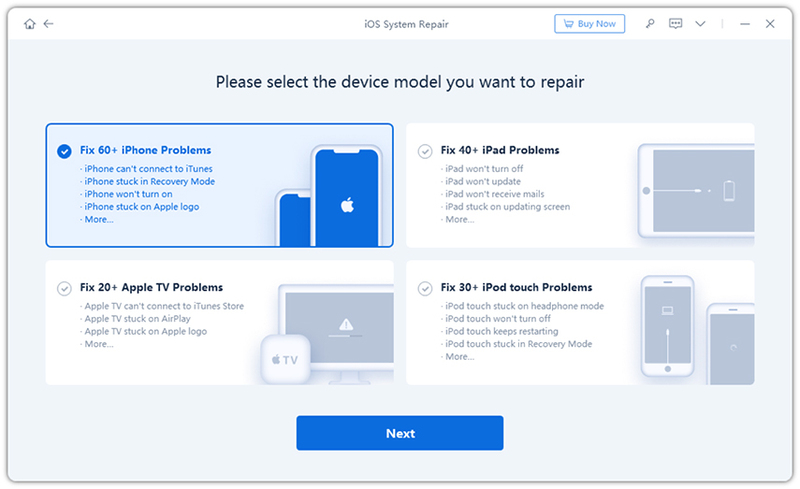 It can help repair your iOS 12 system within a few minutes and fix almost every iOS stuck issue effectively. ReiBoot is a very simple and straightforward system recovery software. Once you open it, you will see the user-friendliness that it offers. Apart from that, it has a selection of 50+ solutions to various issues with your iOS device. Be it an iPhone or iPad, ReiBoot can repair and restore every one of them with ease. All these are what ReiBoot enables its users. Along with that, there are customization options with clear graphics and instructions. You can enter and exit recovery mode with 1-click. There are advanced recovery options with no chance of data loss as well leading to a better overall user experience. You can also opt for a factory reset of your iPhone with the help of ReiBoot. Step 1: Download ReiBoot from the official website and install it on your computer. Step 2: After your computer detects your iPhone XS/XS Max/XR/X/8/7/7Plus/6/6S/5/5S/SE, navigate to the main interface and select "Fix All iOS Stuck". Step 3: Then you need to click on "Fix Now". Step 4: You will be directed to a firmware download page now. Tap "Browse" to enter a destination and again then tap "Download" to get the latest official firmware. Step 5: After the downloaded completes, tap "Start Repair" to fix. The repairing process takes some time. Do not unplug the device. After it ends, you will have fully working iPhone on your hands. Don't miss this amazing software! Overall, Tenorshare ReiBoot is a potent iPhone system recovery software ready for use instantly. It can take care of almost all iOS stuck issues and is pretty effective as well. It is undoubtedly the best software in the market now with a stellar features list. The simple yet intuitive interface and overall performance makes this software stand out from the rest. We highly recommend you to go for it. You won't be disappointed at all!